Secret Behind 2 Million Views On Divine's "Mere Gully Mein"! 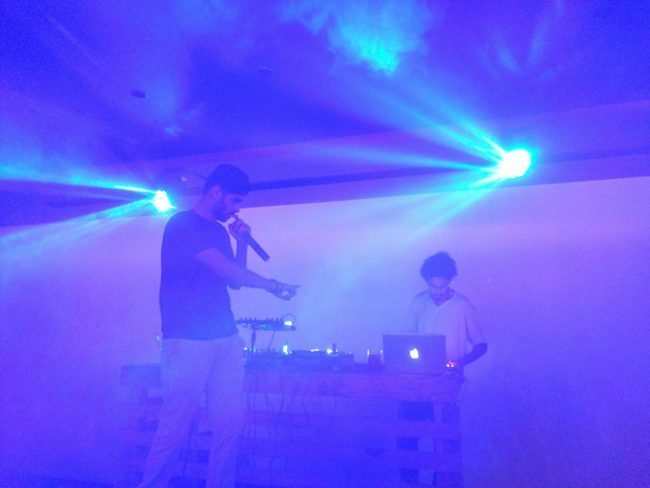 Mumbai emcees Enkore, D’Evil and Dee MC recently hit the stage at one of the elite venues in the city. Enkore blessed the mic with tracks from his album Libra Scale. He invited D’Evil and myself, Dee MC, for special guest performances. What followed was an evening full of hip hop. What’s amazing about Enkore’s performances is the amount of thought he puts into them. The emcee never ceases to brush his impeccable skills and command over the microphone. Best tracks of the night included Million Dollar Smile, Soch Hai Ya Sach and some unreleased tracks. Members of Dreamteam were present for the gig as Enkore introduced them at inception. DJ Sinista managed the decks while D’Evil kept the vibe upheld. Another special guest present at the show was Enkore’s sister, Aranya. Aranya Johar wooed the whole world with her slam poetry that has garnered millions of views. SlumGods members Poetik Justis and HHB had also turned up to support the performers. Enkore and I crooned to the tune of his track Coolin from Libra Scale. While the venue was picture perfect with a beach side view, the sound system provided remained to be a disappointment. Nonetheless, all the performers gave their best and made it a memorable night for the people present. Enkore is on a steady roll with back to back gigs. His recent music video Fourever is now being played on 9XO and Vh1 India.